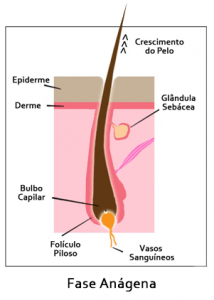 To understand hair loss, first we need to understand the many fases of hair growth that is divided into three phases. Lasts between 2 and 7 years with the growth of the hair. The first is the Anagen phase, a growing or active phase which lasts from 2 to 7 years. 80 per cent of an adult’s scalp is in this phase, during which it is highly sensitive to chemical and nutritional changes in one’s daily diet. Shortest phase, between 2 and 3 weeks. Next is the shorter Catagen phase, lasting from 2 to 3 weeks. 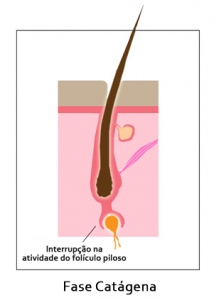 Hair growth stops and the deepest part of the follicle becomes shorter, with capillary loops forming in the dermal papillae near to the surface of the scalp. Lasts between 2 and 4 months, the hair doesn’t grow. 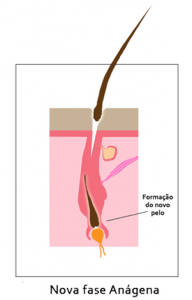 Finally, the follicle reaches the Telogen phase, when the hair stops growing and rests for around 2 to 4 months. At any time, approximately 20% of an adult’s hair is in this phase, after which if falls out. However, before this happens, a new hair starts to grow. Male pattern baldness (Androgenetic Alopecia or Alopecia Areta) affects almost 50% of the world’s male population. It can be related to a family’s sensitivity to DHT (dihydrotestosterone) as high levels of DHT contribute to hair loss, interrupting the life of the follicle in sensitive areas of the scalp. The top and the front parts of the head are the first areas to suffer from this effect. 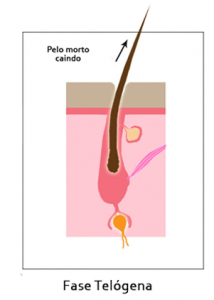 Related to the shortness of the Anagen phase, the high number of receptors for DHT on hair follicles can cause the hair follicle to detect more DHT – thus baldness appears. In fact, one proposal for why hair is lost in a particular pattern (hence the term: male pattern baldness) is because hair follicles in the regions of typical hair loss normally express higher number of the receptor. However, the theory that there is only one gene involved in this process might be wrong, and it is highly probable that more than one may be involved. Baldness in women is less common than in men due to, generally, lower levels of testosterone. It usually manifests itself as thinning hair on the top of the head. Minimal recession along the anterior border of the hairline. The anterior border of the hair in the fronto temporal region has triangular areas of recession, which tend to be symmetrical. This type is subdivided into two parts. 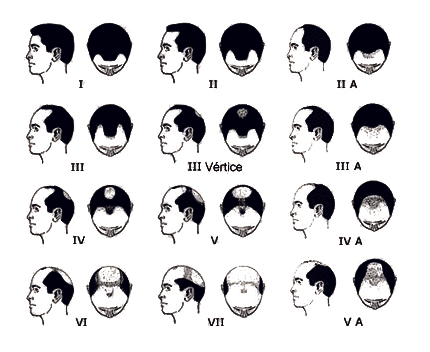 The first has deep fronto temporal recessions, which are usually symmetrical and are either bare or very sparsely covered by hair; the second one is called Type III Vertex, when the hair loss is chiefly in the vertex and has some frontal recession. From the levels described above to level VII the hair loss becomes more accentuated until the last degree when hair is only found at the back and at the sides of the head.